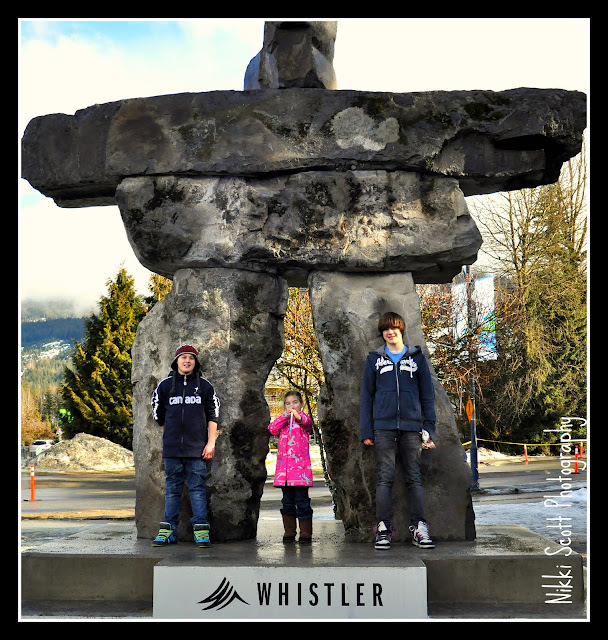 This past weekend my husband and I were fortunate enough to take the kids up to beautiful Whistler, B.C. This is always a great place to escape to for the weekend at anytime, however, this weekend was the opening weekend of the Winter Olympics. 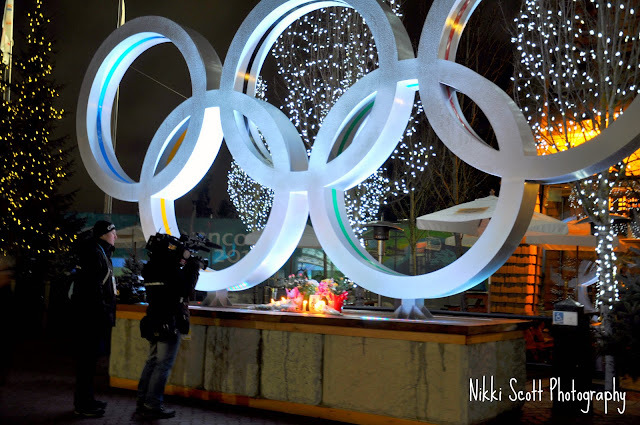 You would pretty much have to live under a rock, if you reside in Vancouver and don't know we are hosting the 2010 Olypmics. This is a HUGE deal, our city has been turned upside down in our efforts to Welcome the World. Streets are closed off, transit is chaos, and security is beefed up ~ majorly. 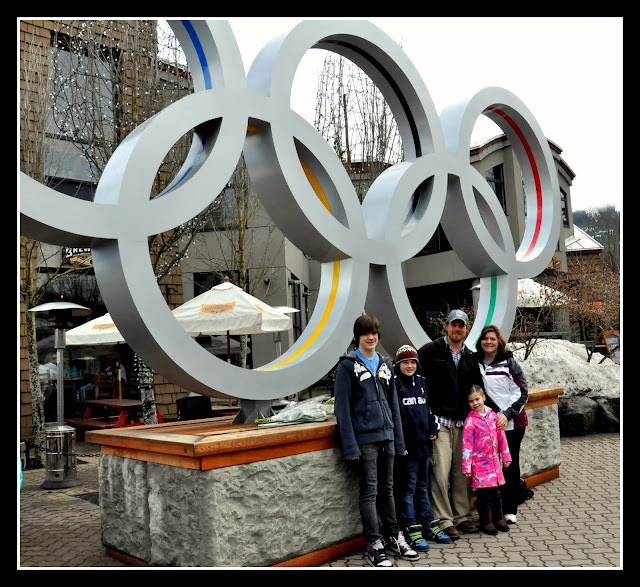 So much so, that we were not allowed to drive our vehicle into Whistler Village. There was bus after bus that would swoosh by and pick everyone up every 5 minutes. There would be a crowd of people waiting for every bus, and everyday the crowds were getting bigger! We are no strangers to Whistler, my parents have owned a condo there from the time I was a little girl. We are used to seeing and hearing the different languages and cultures that come to visit the mountain. However, I was not prepared for something that overwhelmed me on the bus rides to and from the Village. The World......the whole world was on our bus. I mean there was so many different languages being spoken on our little bus. 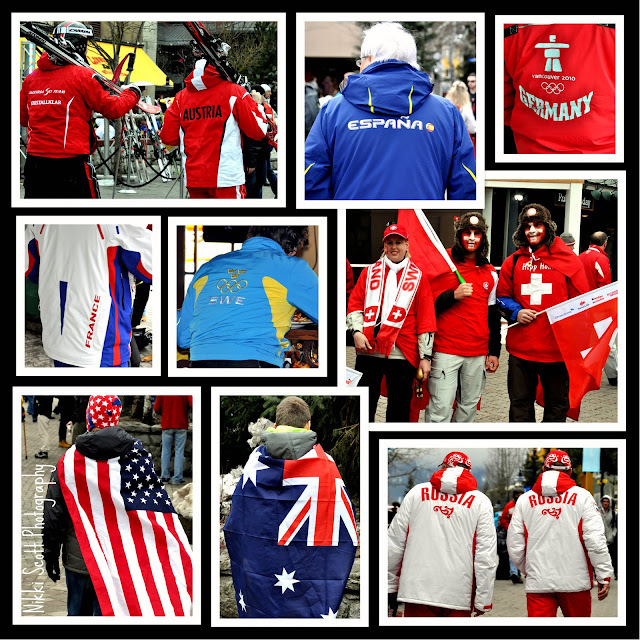 So many different styles, so many different cultures. I just sat there and listened, amazed. And on that bus ride with everyone from all over the world, there was a buzz, we all had the same feeling of wonder and excitment to be at the Olympics. Everyone was willing to share a smile and a laugh even if we didn't speak the same language. I came to the conclusion at that moment.........it really is a "Small World" after all! 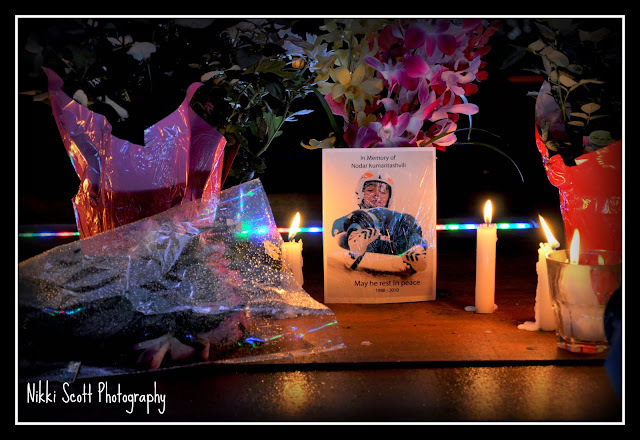 A somber sight, amid all the excitment, a touching memorial beneath the Olypmpic rings in honour of Nodar Kumaritashvilli, the young luger whos life was tragically ended that day. Above, a lone camera man quietly films the memorial site.